Enjoy the unmatched comfort of GelPro's patented gel technology at a fraction of the price. 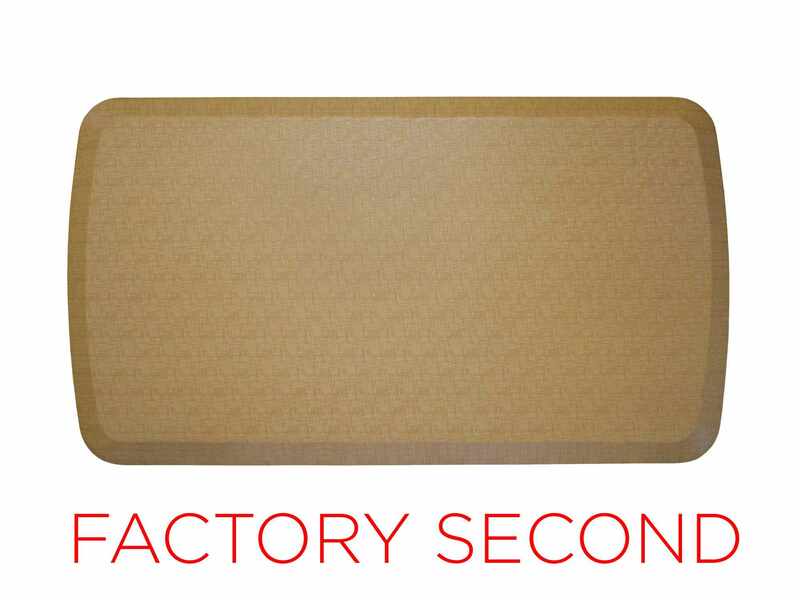 A factory second, this GelPro Elite Comfort Mat in Linen Khaki may have slight color variations or other minor cosmetic imperfections that will not affect its best-in-class ergonomic performance. All sales are final and returns are not accepted. This product does not come with a warranty.